Do you have a clearly written withdrawal plan for retirement? When you think of retirement, your imagination may take you traveling to some tropical locations, playing more golf, skiing in the mountains or relaxing and spending more time with your children or grandchildren, etc. It’s easy to picture all the enjoyable activities you will finally be able to do with no more work obligations. However, the most important part of preparing is to make sure you are financially ready to live the retirement lifestyle you’ve been dreaming about. Do you know how much income you need to be stress free and financially secure? 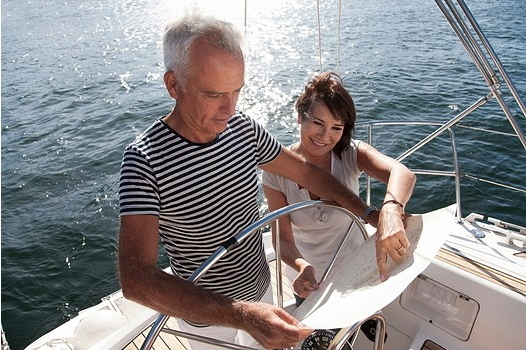 Do you know how and from where your retirement income will be coming from? Knowing this is an essential step on your path to financial freedom, yet you might not. Over 2/3rds of people admit they have no idea how much money they will need. Nearly half of families have NO retirement savings at all! Robert and Susan had always dreamed of having $1 million dollars. It was their “number” and they knew they would be set forever if they could get there. Finally, right before retirement, their accounts reached the magic level. However, they had never had any more of a plan than that and were spending $100,000 per year, an unsustainable 10% withdrawal rate. Fortunately, they decided to get their Financial Life Inspection®, and we were able to help them understand an appropriate level of withdrawals and how they could still meet their goals. Back to the original question: Do you have a clearly written withdrawal plan for retirement? If you can’t answer this question confidently, then we should talk. Through your Financial Life Inspection®, Pacific Capital will help you formulate a clear and specific plan for retirement withdrawals that maximizes your opportunity for success.